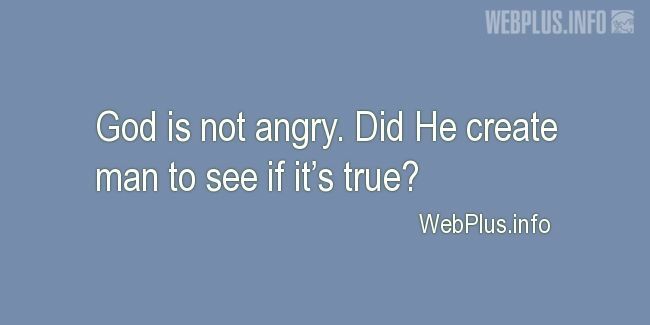 «God is not angry» illustrated quotation. Foolishness, folly, silliness, stupidity, free quote pictures for Facebook, Twitter, LinkedIn, Reddit, Pinterest and other social networks. God is not angry. Did He create man to see if it’s true?